I recently re-wired my studio and also decided to fix a problem that have been plaguing me for awhile – USB noise. Now exactly what is USB noise, you might ask. Well it’s a sort of digital, high pitch buzzing noise you can get whenever you have external audio devices connected to a computer via USB. For example my Waldorf Blofeld, XoxBox and LXR Drum machine has it. It’s pretty easy to get rid of, either by disconnecting USB from the device or by using some sort of Audio Ground loop isolation thingy on the audio out signal from the device. I got a bunch of pretty cheap isolators from a local electronics store. They worked great for my synths. The noise was gone as soon as I connected them. Recently I got another problem and this time it’s from my Eurorack modules. The two external soundcards I use to get 16 channels of sound into the computer, the Traktor Audio 6 and 10 are both connected to my computer via USB so that’s where the noise comes from. As soon as I connect audio out from any of my modules to any of the audio ins on the soundcards I get that dreaded USB noise on top of the wonderful analog sound. I tried to fix the problem with another cheap ground isolator but that didn’t work as it also cut away all the lower frequencies. I figured the isolators probably had to high resistance so I looked online for something more sensitive. 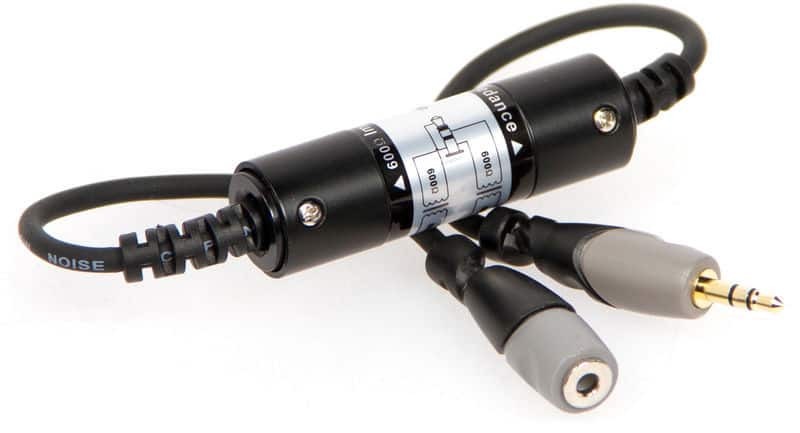 Today Mr postman brought me three of these from Thomann: The Sirius Pro Cable GL Isojack extension. They work pretty well, but not perfectly. The USB noise is gone, however there is a ca 20 dB drop in volume around 40 Hz, which means there is much less punch to the sound. I can compensate it OK with an EQ but it’s still doesn’t sound exactly what it did without the isolator, minus the noise of course. It will have to do for now, but I will probably get hold of a more professional solution in the near future. Like the Behringer DI800 Ultra-DI Pro, which has 8 channels of wonderful ground-lift. If anybody knows a better solution please let me know.